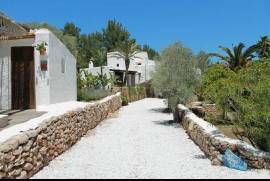 The Villa is set in abundant, beautifully smelling gardens full of lavender and jasmin plants at 1 km west of San José village. 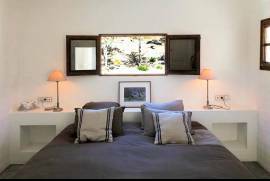 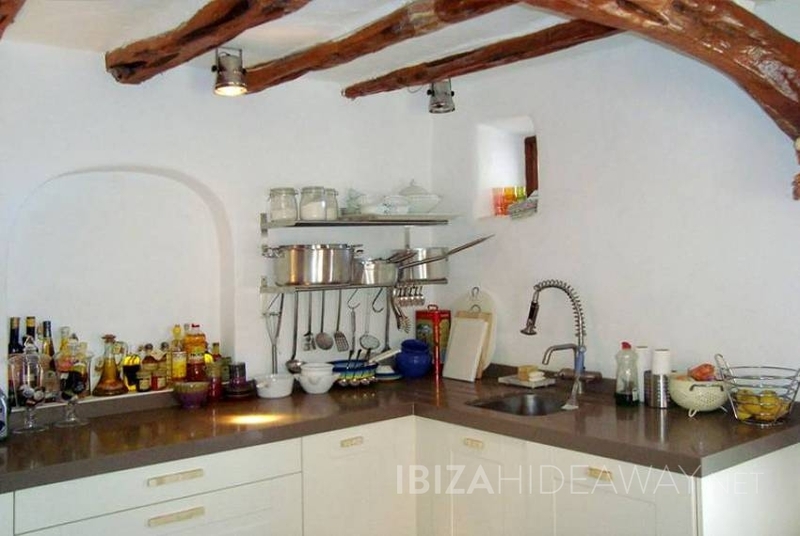 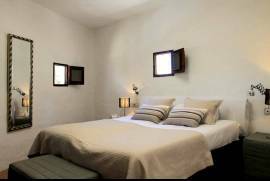 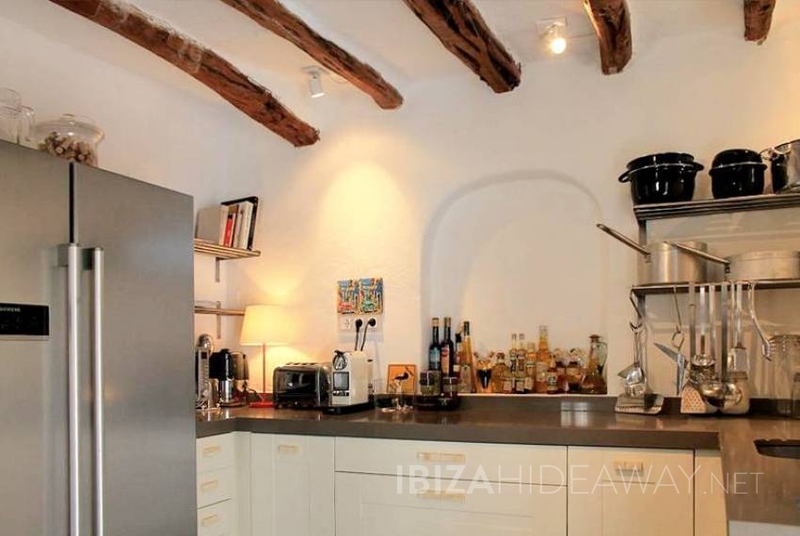 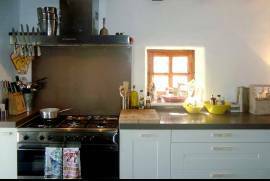 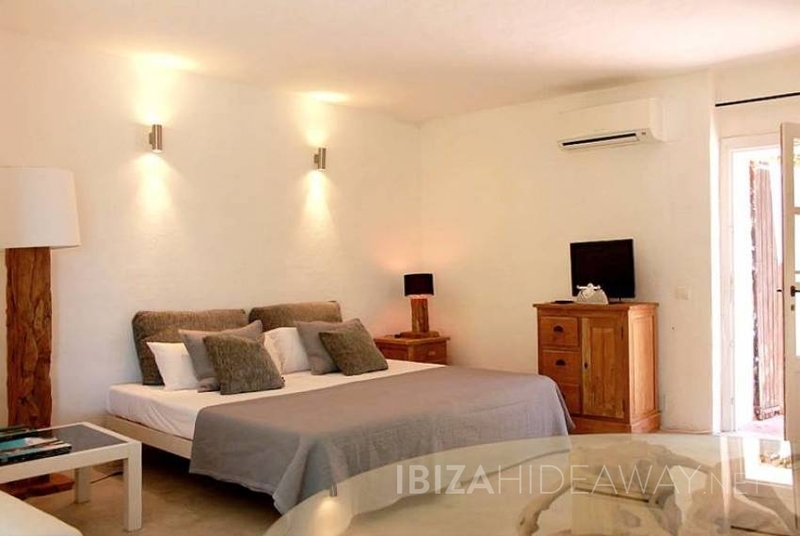 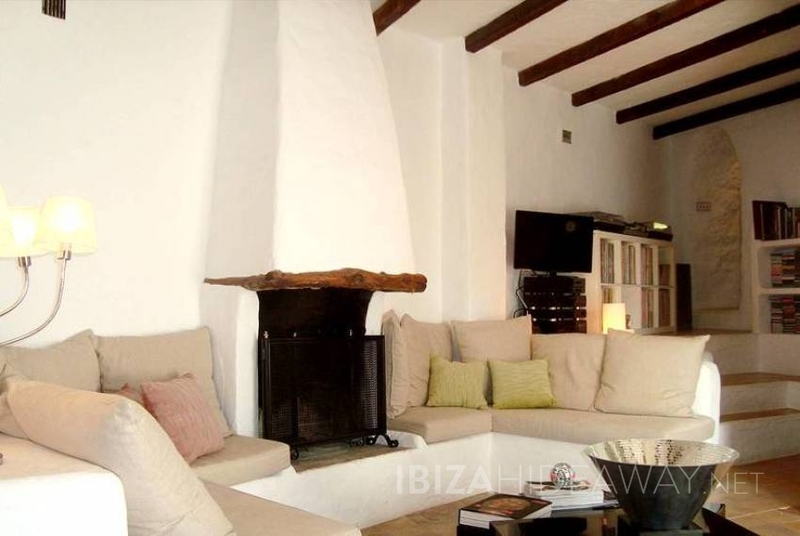 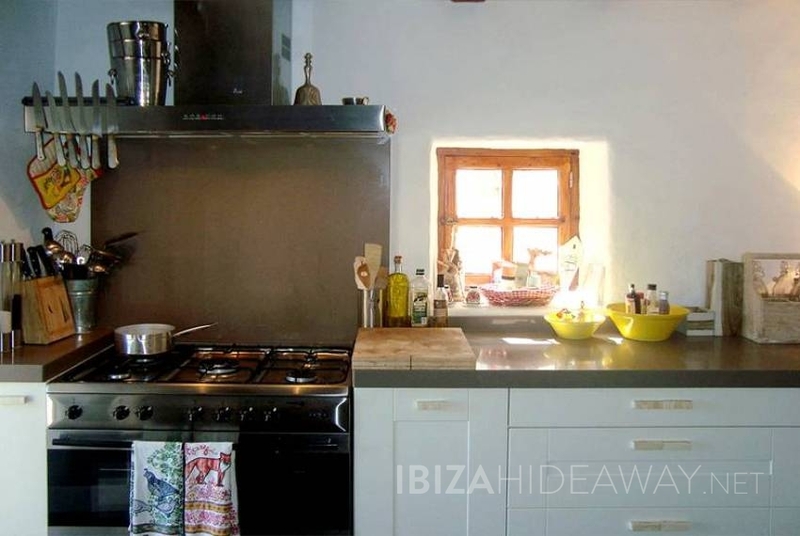 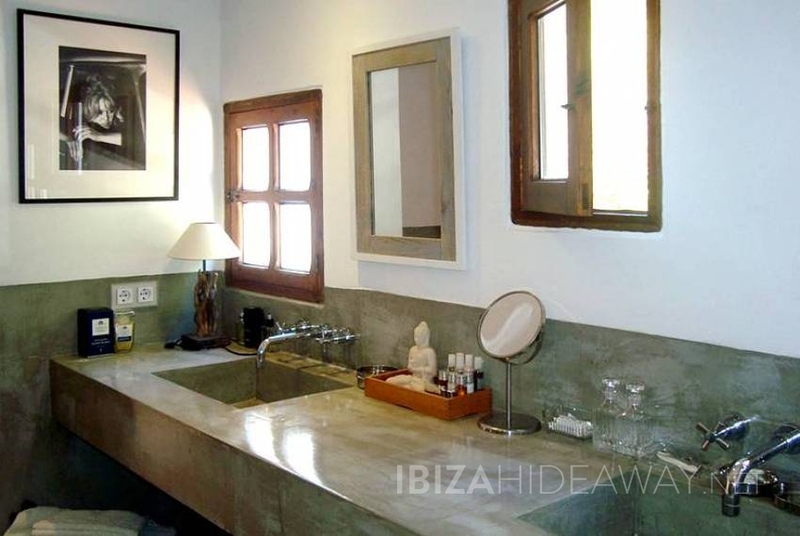 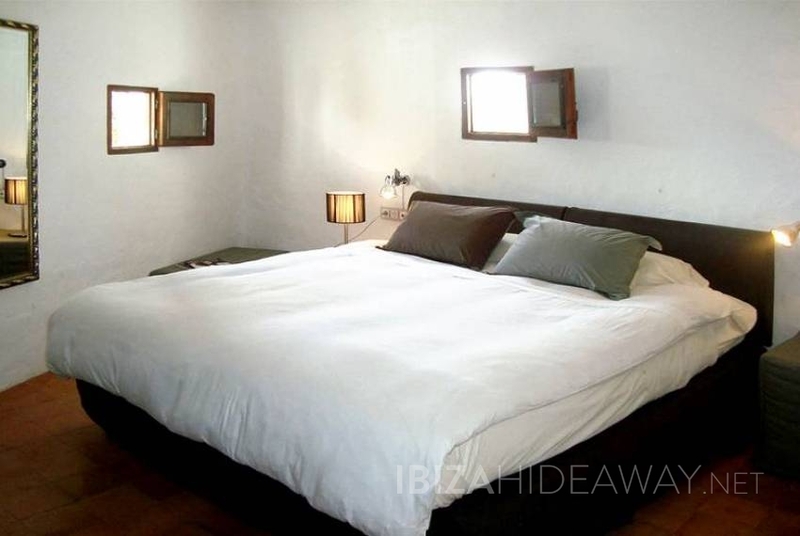 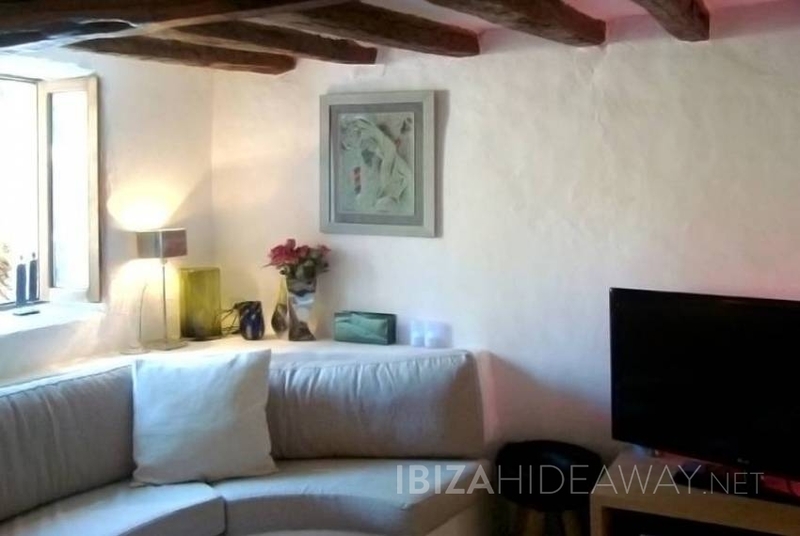 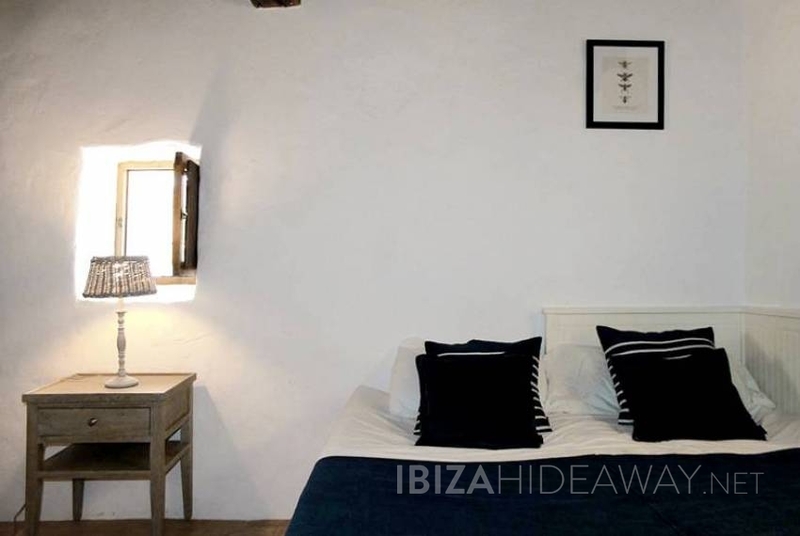 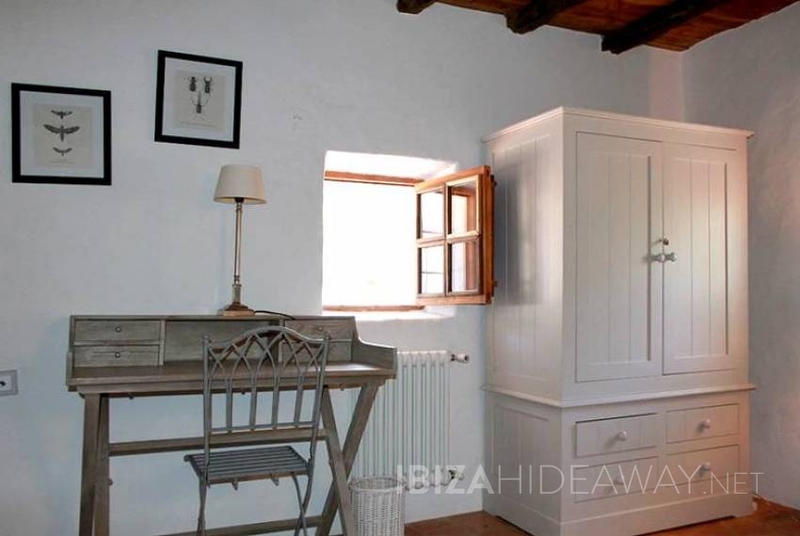 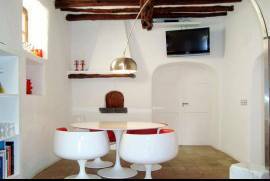 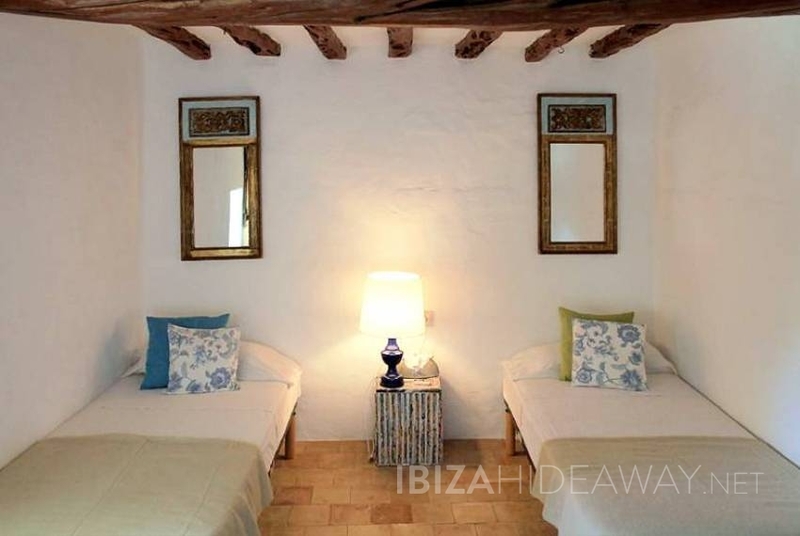 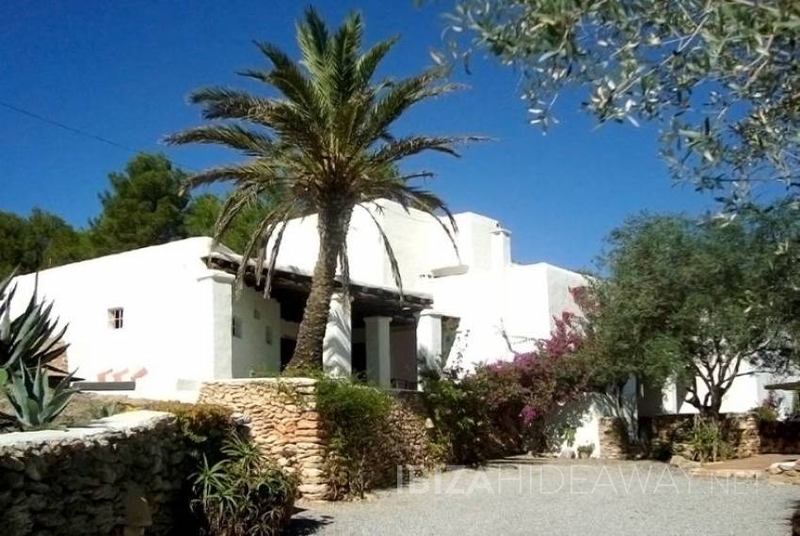 The house is a typical Ibiza cubistic construction built on 550 m2, with its whitewashed walls glistening in the sun and honey-coloured, sabina beam ceilings. 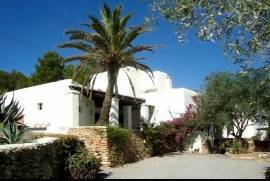 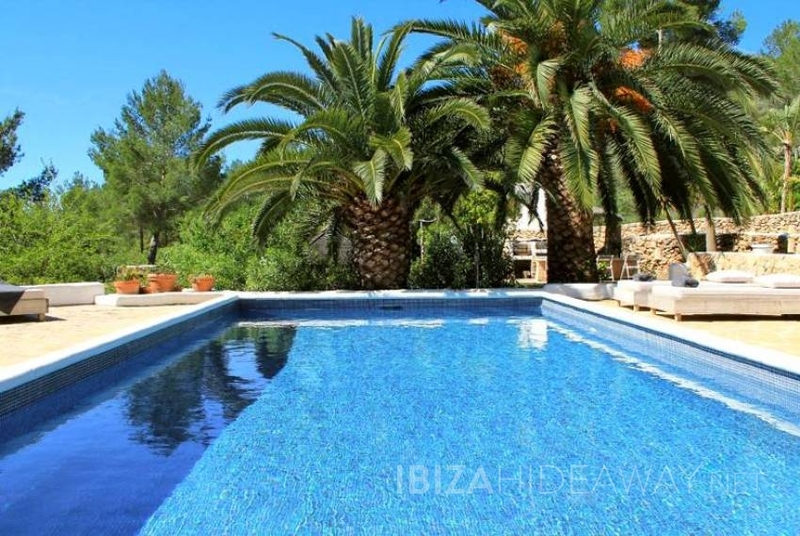 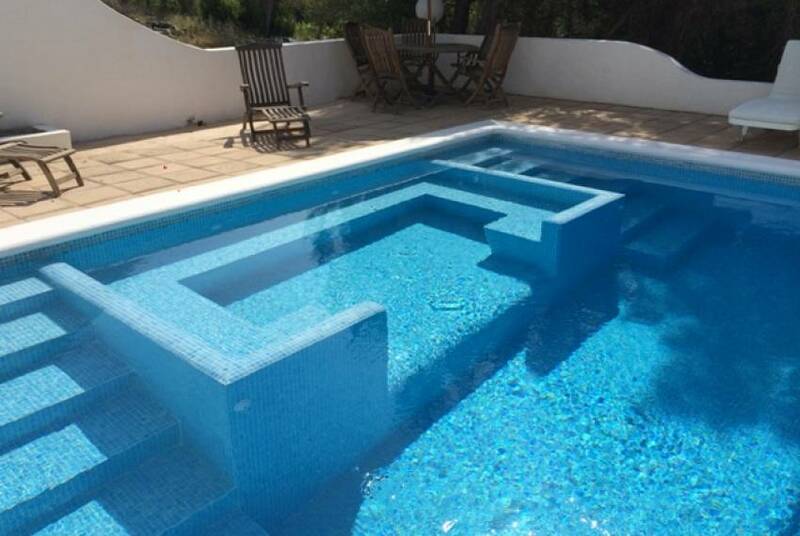 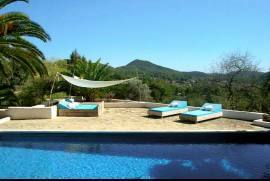 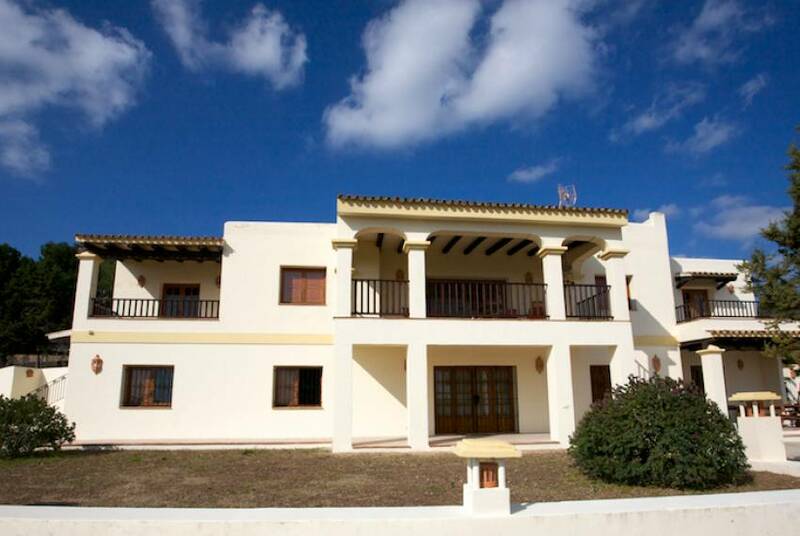 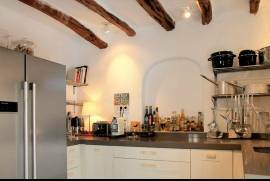 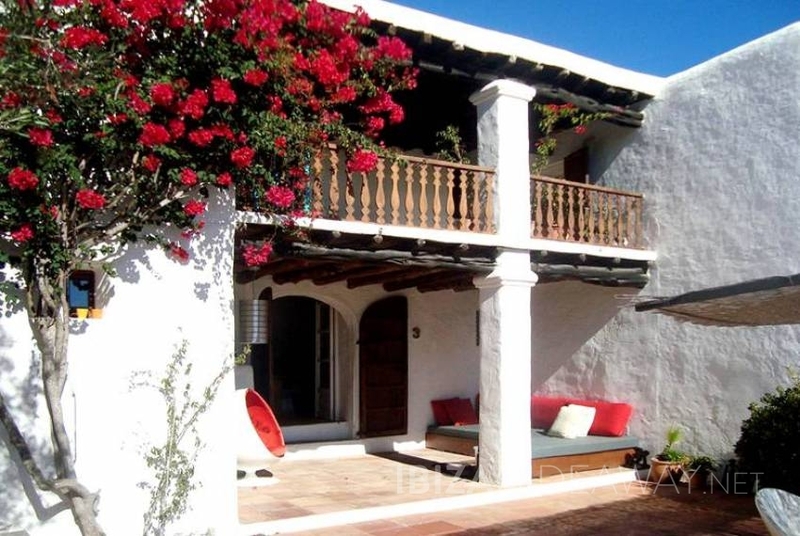 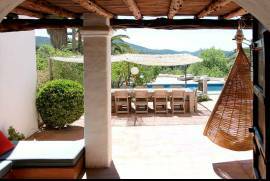 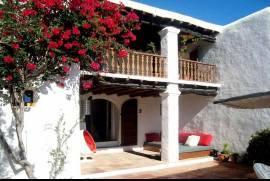 The villa offers great panoramic views to the valley, sea and Formentera Island. 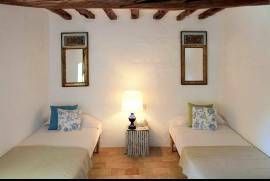 The villa distributes into a main house, a guest house and a service house. All the buildings are set amongst rich mediterranean gardens with abundance of lemon and orange as well as centenery olive trees, an ecological farm forms part of the finca, and the guests are welcome to indulge in tasteful, sun-spoilt tomatoes, peppers or artichocs, watermelon picked from the field and the most delicious strawberries. 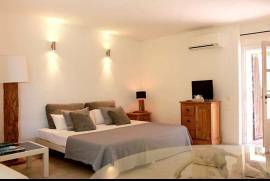 The main house at the villa offers four bedroom suites, lounge and living space, a media room with international satellite television, a fully equipped kitchen of modern desing and dining room for twelve apart. 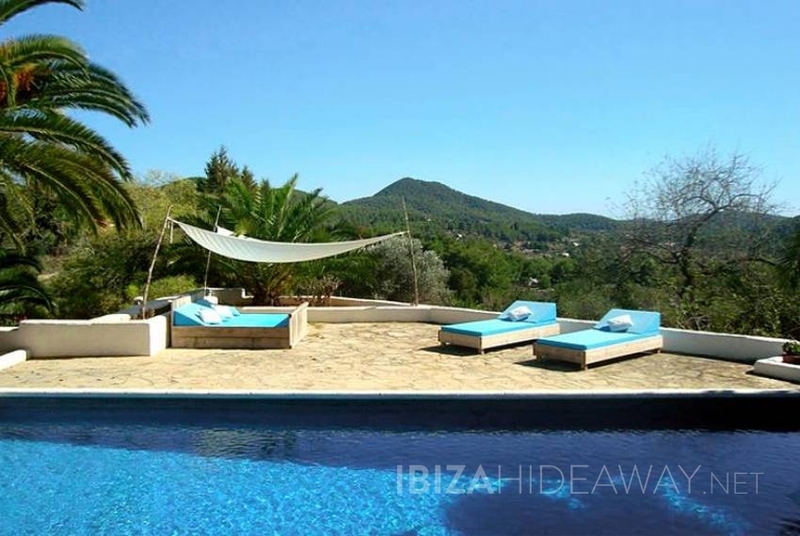 Around the house you can choose between three different lounge areas, two of them covered and another ample terrace with dining area next to the bbq. 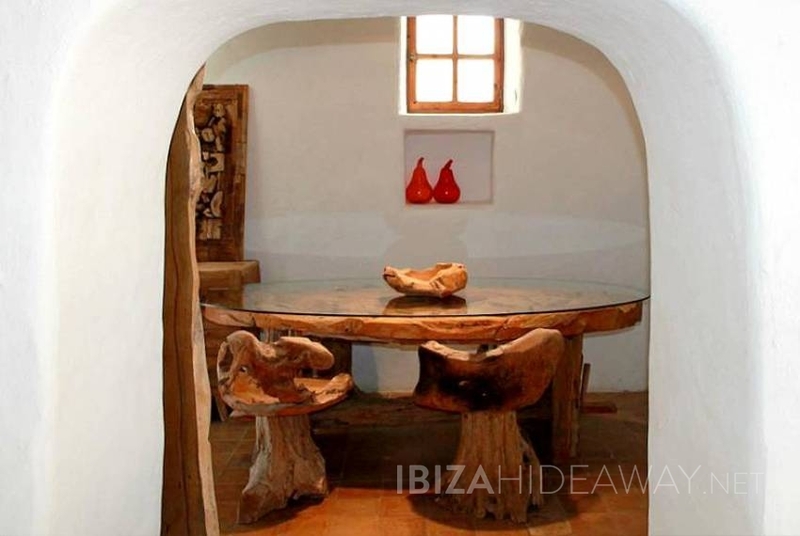 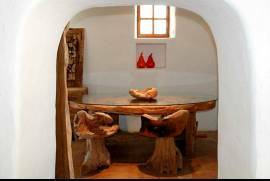 All areas are stylishly decorated with wooden furniture shipped from India and Bali. 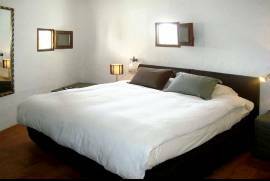 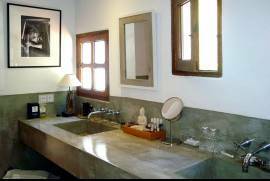 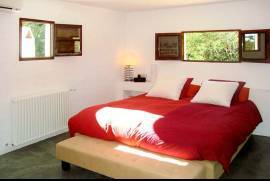 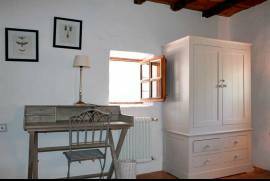 The guest house offers two bedroom, both with their shower room en suite, one bedroom is equipped with an ample walk-in cabinet,. A little salon with flat screen tv and a covered terrace with chillout sofa make this little refuge a perfect base for a couple with small kids or the teenagers of the family.